I´ve been meaning to talk you about one of my newest lip colors. 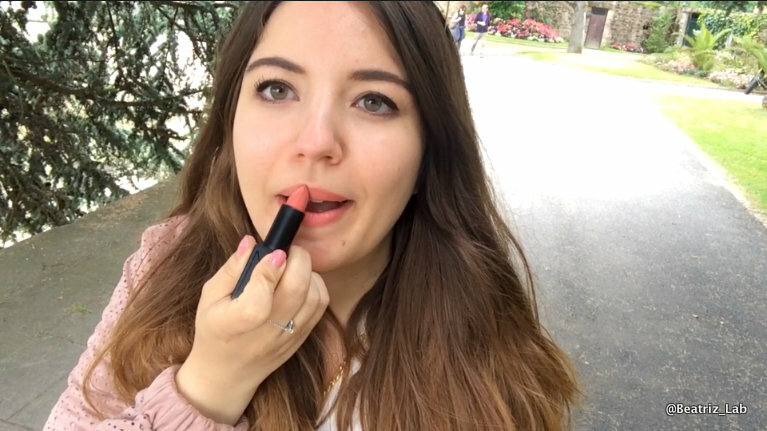 I recently got a NARS Audacious lipstick in the Brigitte shade, and I ´ve been loving it! I have the color Brigitte, a tan rose that I find perfect for my everyday. It´s a great color to transition from the vivid pinks I live in Summer, to the dark reds I wear in Winter. With a creamy consistency and a semi matte finish, it glides smoothly on the lips. And although it's not very nourishing, it's not drying either. The longevity of this lipstick is great as it has a lot of pigment. It comes in a black metal case with a smooth matte finish, and oh! the magnetic closure… I just feel good whenever I put the cap on! It´s that ah! effect. Have you ever tried any of these lipsticks? What do you think of them?